Property Moose decides on the properties they are going to feature for investment by shortlisting their options and then making a final decision by committee. 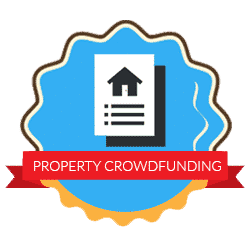 Depending on the type of project on offer investors can then buy into a project either through a secured loan or through a truer property crowdfunding model. Amy: Can you give us a profile of your typical investor, let’s say, and how they would use Property Moose? What type of projects would they invest in? What type of returns would they potentially be looking at receiving back? Ben: Yes, sure thing. So, I’ll give you two examples. So, you’ve got, at the moment, on the site, there is a property in Plymouth. So, the way that… it would probably be interesting for people if I did the background first on how it actually appears on the site. Ben So, we have a fund and a development company called Codita Capital. They are the fund that essentially will agree on the amount of money that we then go out and buy property with. So, our job is to go out and find properties that we are comfortable with. We usually are in select locations across the country. So, London, the Home Counties, Bristol. Basically, locations that you could look at the news and go, ‘These are locations where property prices could be seen to be going up in value’, essentially. Whereas predominantly in the past we have always focussed on the North, which is quite ironic. So, once we have a property that we’d like to go and bid on, we go to committee. So, every Monday we have a committee. We are probably looking at between 15 to 20 properties a week. We would then agree an amount of money we want to spend on that property based on the valuations that we’ve done, the comparable evidence that we’ve got, what we think we can do, the planning we can get. You know, is it just paint it and then resell it, or is it a rent-it-out, or is it a full extension, turn it into flats, or whatever it might be? And then as soon as it appears on the site the VIP investors get the first notification because they’re essentially committed to us, I suppose, so we also give them first refusal. 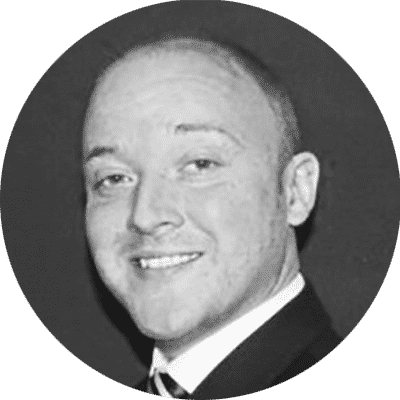 Ben: And then, with the Plymouth deal… So, it’s a secured loan which means that the space of time that the investment is returned is typically shorter than a long-term property investment. So, for example, Plymouth is between a 6 to a 12-month term and the intention is to secure it. So, we have secured it. We’ve now purchased it. I think, at the moment, it’s 89 investors have covered the initial investment and we will then essentially go into that property, completely refurbish it and then we will sell it for a profit. However, the returns are slightly different in that, depending on the amount you invest, you can get between 7% to 12% return, potentially, between a 6 to 12-month timeframe. So, if it were to return in six months, for example, it could actually be 24% return, per annum, whereas if it completes in 12 months it would then be 7% or 12%, whatever it might be. Obviously, it’s never guaranteed but previous performance has definitely given its credibility with the investors but you can’t base previous performance on the future. So, that’s the secured loan side of things. Ben: And then you’ve got true property crowdfunding which is buying a house in Bristol, for example, it’s a bit run-down, may have either been flooded or it’s had a fire or whatever it might be. And then we will go in there with the full development team. We will completely refurbish it or we may get planning to turn it into three apartments or whatever it might be that we think secures the best chance of returning the best yield. We will then provide all that documentation on the website for the investors to read through on their dashboard or investor profile. And although we can’t guarantee the returns, it will give them an idea of what that forecast-over-term might be. Amy: So you can have a bit of a play about with your figures and see what works for you. The reviews on Property Moose on Trust pilot and Google are awful and from what people are saying, it appears to be a company with poor service and a products that do not perform as well as stated. Can you explain why so many people have complained? Sorry to hear that, Property Moose isn’t our company so we don’t have any control over the service they provide, but I have asked them to reply here to see if they can shed some light on any recent issues and on the review comments. Thanks for highlighting it.